Hallo collectors, thank you for ckick UCN-uniquecollection Cyber news to day. Postally used Kiessling & Schiener Dresden postcard send from CDS Dresden 15.2.39 with special post mark Internationalale LeipzigerMasse 5.III-13.III to Nurnberg, and at the back 15.Feb.1939, Haus und Kuchengerate Hotelbedrarf building Picture, bellow look at illustration two revenue Delkrede Wertmarke Nord&Sud EGMBH Berlin and HEIL HITLER 1 and handsigned . 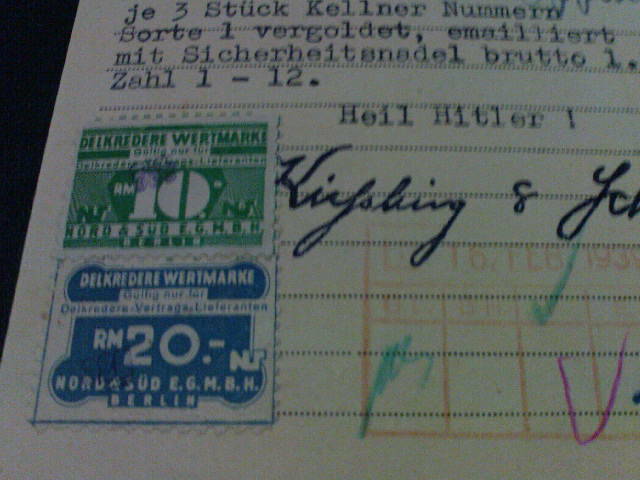 very rare recieved postcard with Berlin revenue and Salut Heil Hitler. This is the first report never seen before or unpublished. If someone ever seen this very rare Heil Hitler Berlin Revenue postally used card, please tell us via comment or maybe another type. 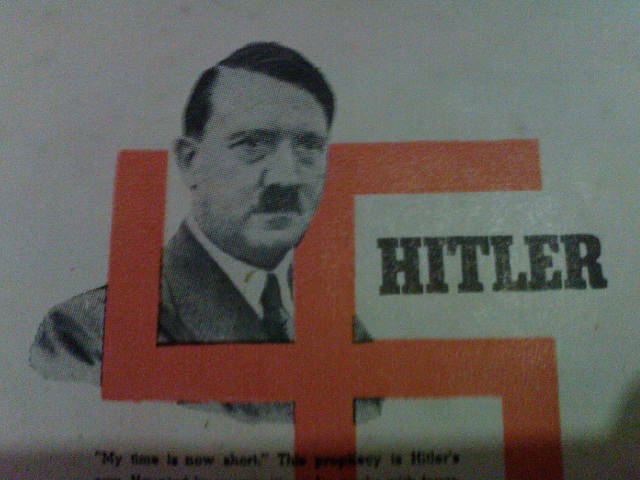 Unpublished vintage Hilter picture with Nazi symbol and below had written “MY TIME IS NOW SHORT” THIS PROPHECY IS HITLER’S OWN. HOUNTED BY PREMONITIONS BE WORKS WITH FEVERISH HASTE TO ACHIEVE HIS GOALS. WHAT DOES THIS PORTEND FOR THE FUTURE AND THE PEACE OF THE WORLD? The painter of the rarest Queen Wilhemina Stamps in Indonesia (DEI that time) 1941-1942 was Konijnenberg, please look the Konijnenberg Stamps at ” INdonesia Rare Stamps” Kon 35 cent , 5 gld and 25 gld. 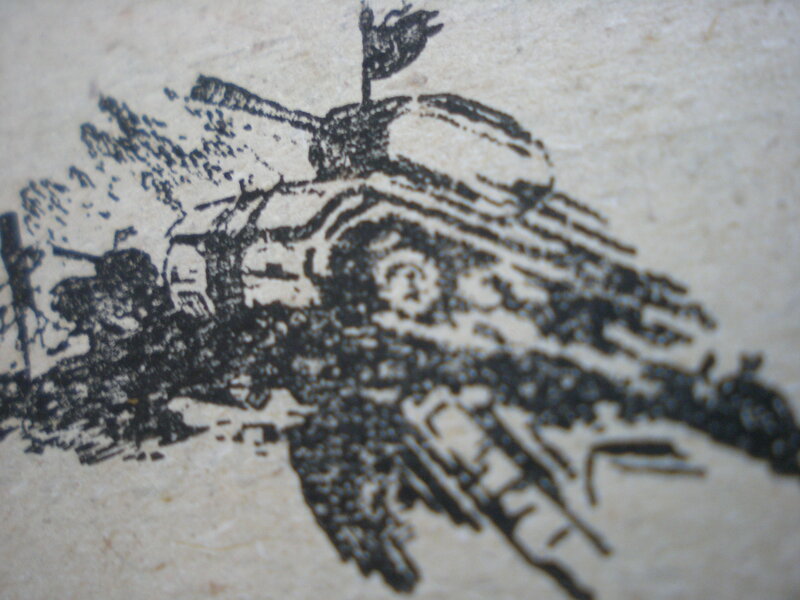 The rarest lithography pictures of Reds Armies have inslalled in this blog look at UCN “The Reds Armies Lithorgraphy 1949”. UCM also have the limited lithography of Lempad painting and VOC fort Batavia, Banten etc, please asked via comment. 3. The rarest Stam of Checkoslovakia. 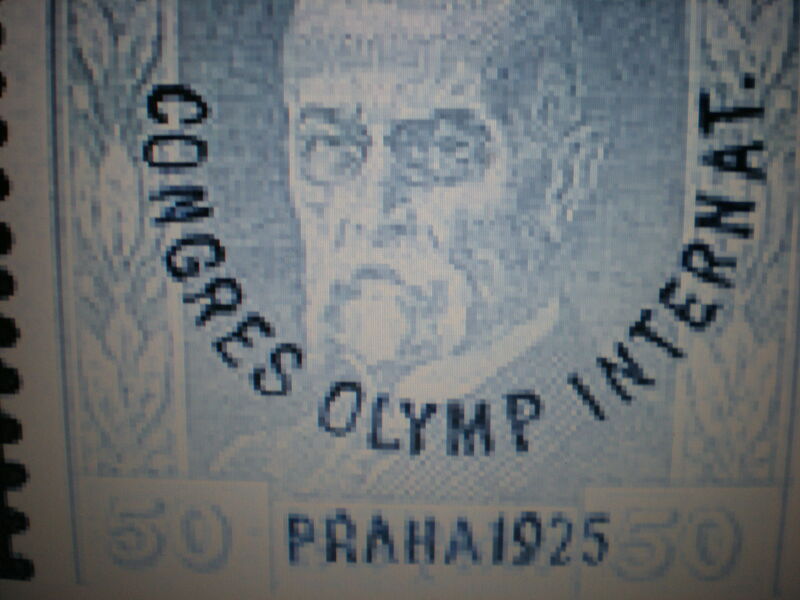 The rarest stamps af checkoslovakia was the Surcharge Congress Olympiade International Praha 1925 look at illustration. UCM: “INDONESIAN INDEPENDENCE WAR COLLECTION TODAY” and UCM” DAI NIPPON OCCUPATION INDONESIA COLLECTIONS TODAY’. Hallo collectors, thank you very much for click UNC-uniquecollection.wordpress.com CyberNews to day. In 1997 Dr Iwan S the founder of uniquecllection.wordpress.com blog have found the very rare book with lithgraphy pictures of the Red army during China Liberations war, that never reported before because the limited edition Chinese language native books with many lihtography pictures have burns during teh war in Chinaand Indonesia,and during President Suharto era 1965-1998 this Reds Communist book about The Reds Liberation war were forbidden to keep and all were keep and burn by the govenrment or the owners, very lucky one old chinese overseas in Jakarta still keep this book and after he died their family trown out to the garbage and the Gargabe cicling Lapak sold to me in very cheapest price in KG price because no one brave to keep this communist book that day, but know no problem anymore because Metro TV have showed all the mao and Communist informations in tv during Chinese New Year. 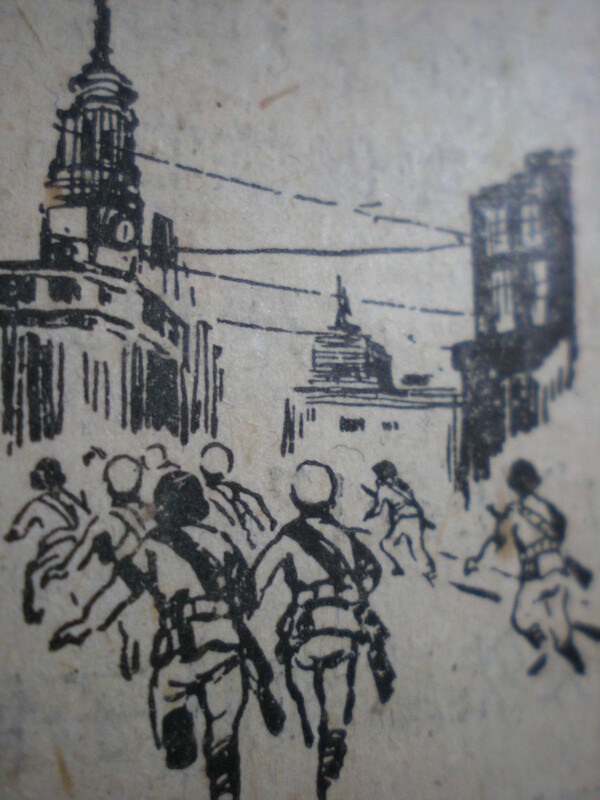 (2) Reds Communist Soldier attack Shanghai caption Reds in shangai -1949. (3) Reds Communist Tanks, captions Reds tank 1949. (4) Reds Communist soldier attack with their machinegun ,caption reds Machinegun 1949. (5) Reds Communist soldiers marched with their PLA flag, caption reds March 1949. 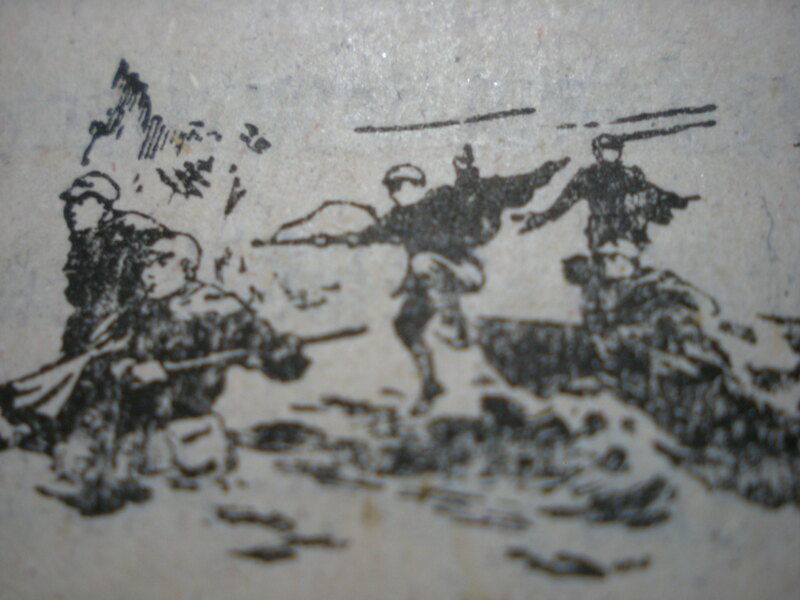 Please collectors give more informations via comment, Do have ever seen this lithography reds army picture 1949 before ? if you have the same picture please show us. One of collectors seaking information about Dai Nippon 2602(1942), Dai Nippon landed and capitulation Java in March 1942, the complete story read “Dai Nippon In Java” or” Dai nippon di tanah Jawa” , the illustrations will install starting 1st March 2010 in UCN and UCM one by one related the info at the same date of that day until UCM found sponsorship.About capitulations, I have the information from one of my collageus, now he had postgraduate in PH D of Historian with his disestartion about Lingarjati conference, congratilation DR we didn’t meet very long since you gave me the Kalijati capitulations info and I hope you don’t mind if your info installed in my blog. UCM have the best collections ancient euro ceramic from Delft and Gauda from Netherlands and other Euro ceramics from Germany and Enfland, one day UCM will show that best collections. UCM will show vintage tjipanas Map with other area Java vintage Map 1940 ,related with the area during Dai Nippon occupation Java,like Kalijati west Java, Magelang central java, Bondows with DJoerangsapi village and Tamanan Village in Est Java, please click UCM Dai Nippon Occupation Java in this day ,starting March 1st 2010. Hallo Dutch Collectors , Mr Voose,Joep Bonn,PR Bulterman, Mr Ramkema and other collectors from Netherlands Dai Nippon club please click UCM Dai Nippon Occupations collections and UCN Indonesian Independence War collection this day starting from March 1st 2010, please write a suggestion and corrections via comment, Mr PR Bulterman greating to yur wife from the founders wife, we only met one time in 1985 at Padang, now Dr Iwan S in Jakarta and build the UCM and UCN blog,please informed to another Netherland Collectors like Mr Vrijdag , many old collectors were passed away , I hope if Mr PR Bulterman visit Jakarta please cntack Dr Iwan s via comment. Viva Collectors collagae from Netherlands. 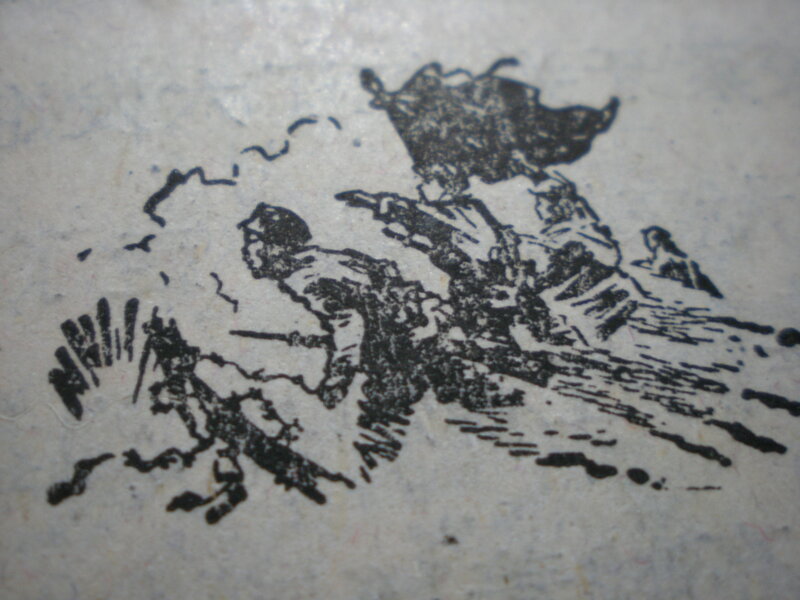 before that UCM only installed one info and realted illustrations of The Indonesia Independenca war in UCN and THe Dai Nippon in Java in UCM, once a weeks a small show from international postal history collections. The UCN &UCM founder have found a very interesting vintage book ” Fifty Years Of Postal Administration In China ” A Special release issued by the Canadian office of the Chinese Government Information Office,1946. To trace the origin of Postal service in China, one has to dig into Chinese history books which tell of the I Chan or Imperial Government courier services and the Minchu or native posting agencies as early as the Chow dynasty in 1122 B.C. The I Chan, maintained only at the Imperial palace, ran errands between the state and the provincial authorities, while the Minchu was operated for the general public with varying charges paid by the sender and the adressee.Both the I CHan and the Minchu were well-equipped and efficiently organized,covering the greater parts of Szechwan,Shensi ,Kansu and the far west. GENERAL POSTAL SERVICE BEGUN IN 1896 AND GENERAL POST OFFICE FORMED IN 1911. 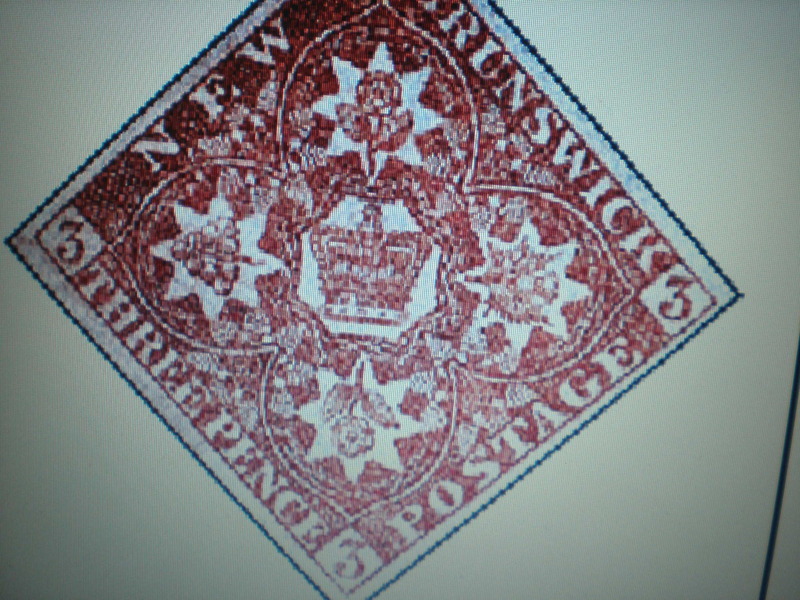 (Some of the Robert Hart postal used cover have found this day, all the cover had his initial RH -look illustration. The UCN&UCM founder have done the same in 1985 from Indonesia to all over the world one a liitle send back to sender because the country have independence, this rare collections postally used covers from all over the world to indonesia will showed later in this Blog. 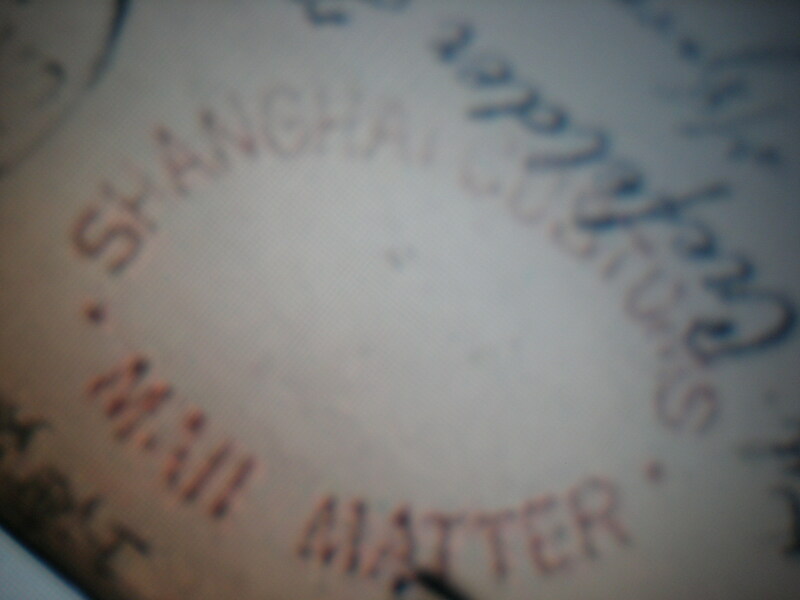 In 1896″The travel around the world 25 years ago with postal history collections”Dr Iwan S.). 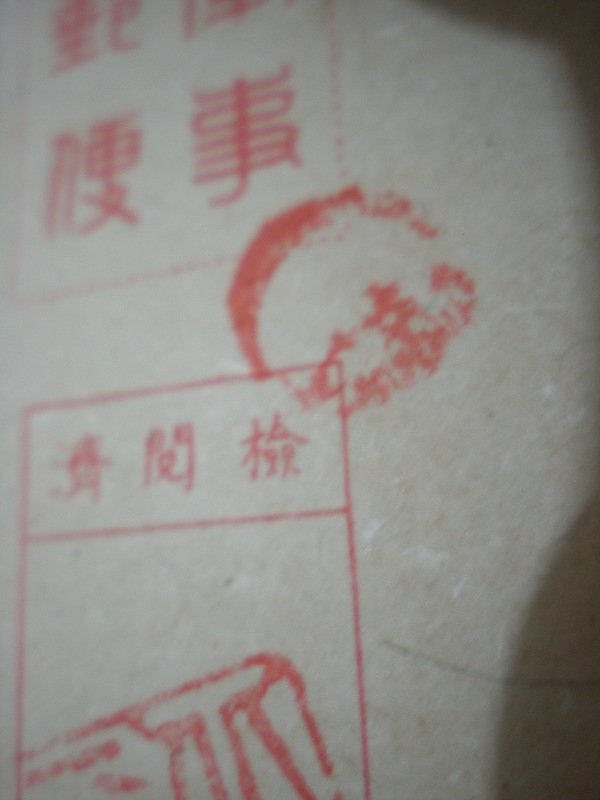 This postal system was for many years operated by the Chinese Maritime Customs-look the Customs postmarrk illustration. When the Republic (of China) came into existance in 1912, China’s postal administration had already been firmly established, and so on March 1st,1914 , she formally became a party to the international postal convention. system suffered a heavy blow. 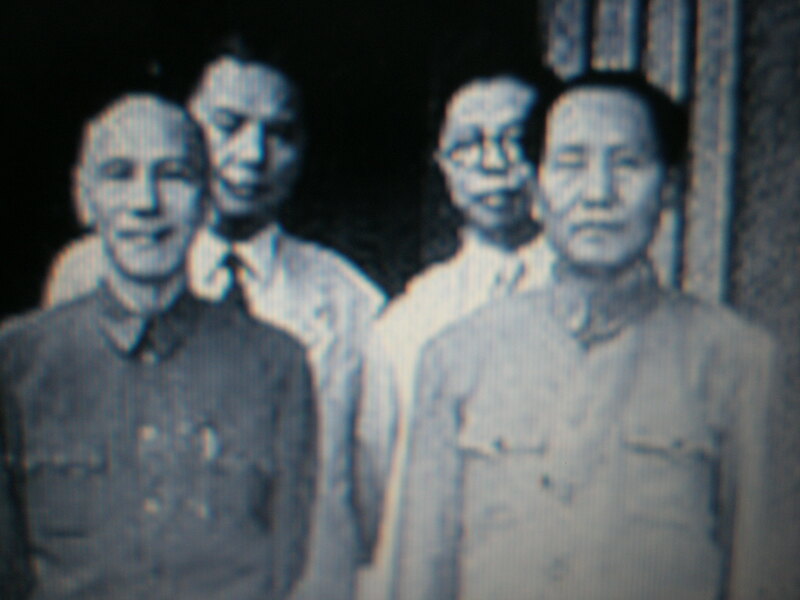 Its head office had to be evacuated first from Nanking to Hankow, and then to the hills of Chungking. 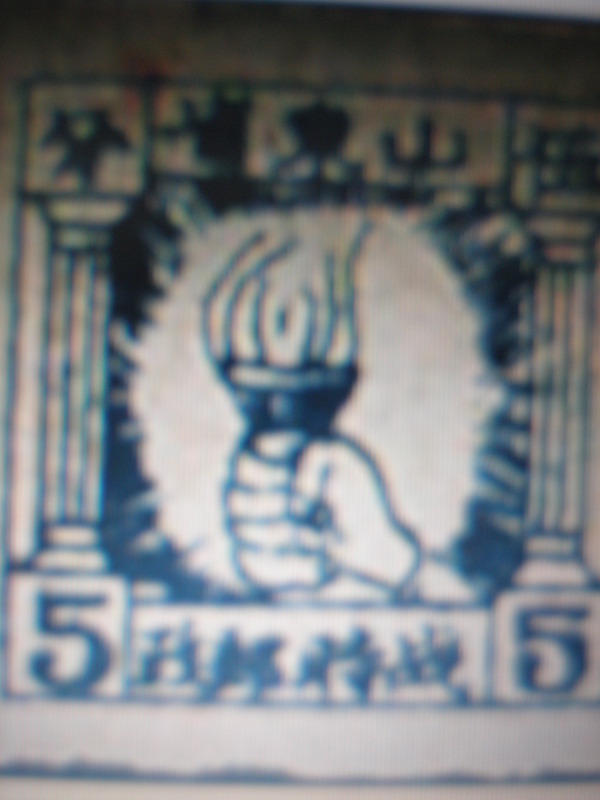 Score of mail rutes and numerous postal establishments fell into the hands of the Japanese who either set them ablaze or turnedthem into military defense works.-look illustration of Dai nippon overprint on china stamps. The ROC postal service was resumed almost instantly inthe newly recovered areas. An over-all postal rehabilitaion program was carried out, which not only restored the old offices but also established new branches in many remote places. Up to the end of 1946 , a total of 60.602 general post offices, branch office, stations and agencies had been registered with the postal administration. During that year, 1.027.937.076 letters or two and a half letters for each Chinese, were delivered by more than 100.000 green-uniformed messengers cvering a total distance of 349.383 miles. Due to the vast sovered by the domestic pstal services, the modes of transmitting letters by the couriers vary in accordance with available types of transportation, ranging from mules and carts in the mountainous regions by the four-engine DC-4s. Ordinary foreign mail winds its way through the Siberian railway to Russia ot through the Hankw-Canton railway to countries in Southeast Asia including Indonesia). Mail for the European or the Americans is usuallyshipped by cean liners (Shipmail or paquebot)through the Pacific Ocean or the suez canal. Airmail is being flown by the Pan American Airways, the british Overseas aviation corporation,the china national aviation corporation, the Phillipine Airlainens and the northwest Air lines to various parts of the world. (2) Mobile Post Office operating in the bigger Nanking city. (5) General post office in Shanghai frnts Schw Creek. (7) Camel Caravan packed with mail on their trek across the Gobi desert. The illustration of ROC postal service in 1946, will installed if the collectors asked via comment only. (2) The colour ,red in glaze, Momahadan blue, Qingpai and Zhou Chou, or kitchen ware glaze. (4) The size of the collection small,medium or bigger. The Kitchen Yuan ware very cheapest because many found by the fisherman or by private companion with Government I have seen the collector have 10.000 pieces in very fine condition in indonesia , the price down I have bught this year only US $ 3,- – $ 5,- only. The imperial Yuan ceramic only found in restored condition in auction only US $ 6000.- and I have restored imperial Qing Pai only the market price US$1500, before the same item sold at US$ 20.000.-. The red in glazed very difficult to found, the restored item the market price between US $ 1500,- to US.2000,- but I have ever bought Only US $150,- because the trader didn’t understand that type of ceramic. The very find original Yuan red in glazed imperial ceramic prized ever sold in auction US$70.000,- this the highest price in Indonesia ever heard. I hope the collectors ebe carefull because many Yuan fake ceramic from the small jarlet,saucer until the yuhunchuping mohamadan blue exist, better before bought look at “The Yuan imperial artifact” in this block, learn about the exact color and painting style because no one can imitating the same pattern and style, be carefull. The Rajah sarawak coins ,very rare only the copper coin of J. 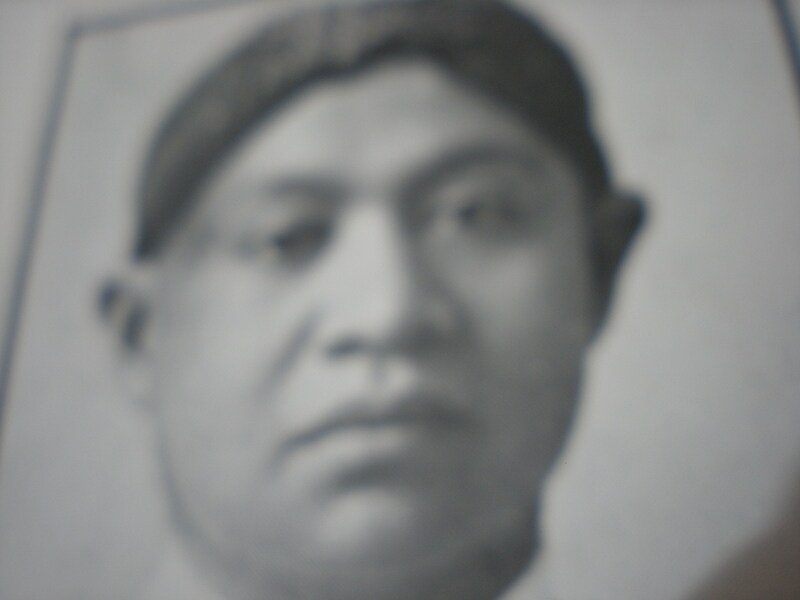 (ames) Brooke (the first Rajah) 1/4 and 1/2 cent. The C.(charles0 Brooke the second rajah copper coin common still exist, but the C.Broke silver coint 10cen ,20 cent and 50 cent rare because many dilated during the silver high price befre the WW II. The C(harles) V(yner) Brooke was the third Sarawak Rajah, CV Brooke coins common. Please read The Sarawak Document and Postal Hitory collection and The Sarawak Rare coins and Aung aung sarawak rae coins. If the collector want to have the information about unique or rare collection please asked via comment, UCN will answer your questions. Many collector choice were found via wordpress tool the collector click the blog during browsed at Google explorations. After long processing all the information of “The China Restistance War Collection” and “The China Liberation War Collections’ have installed finish 100% , all the chronologic historic information about the War ,vintage photo, rare stamps and rare banknote collection during the war. The illustration still in processing and installed one by one starting tomorrowand will finish in February 28th 2010. This is one of the best UCM-uniquecollection cyber Museum collections, please send more informations via comment. UCM announce that the illustrations of the collections only installed if the collectors asked via comment only, starting from march 2010, every ady only some illustration related to the informations that day. Hallo collectors,thank you very muc for click UCN-uniquecollection.wordpress.com blog CyberNews to day. Many uniquecollections will found if I have the opportunity to visit this country, but I am still waited if I have enough fund. Before read and look at “The rare Canada stamps Collection” in this block tomorow, better you read this Basic History of Canada from vintage book 1974. Canada is an indepndent natin in North America composed of two predominant linguistic and cultural groups : French and English. To these major groups, and to the small native populatin of Indians and Inuit, have been added over the last hundred yers many thousand of immigrants representing the major European cultures. For the most part these immigrant group have associated themselves with the English-speaking community,though maintaining many aspects of their mother cultures. The country has thus never been a homogeneous melting pot, but rather had the aspect of a cultural mosaic in which the major pattern is traced in the colours of the french and English culture. Much of the country’s history can be view as a cotinuing serch for accomodation and co-operation between the two major cultural communities, and the integration of newcomers into the basic pattern. The exploration and Settlement of North America by Europeans began seriously at the beginnin of this century. The Constitutional act of 1791 divided the old province of Quebec inton two colonies Upper and Lower Canada and granted each its first representative assembly, an institutionwhich had existed in Nova Scotia since 1758. (a.1.4) The British Federation of all British North America. The Reunification of two Colonies in 19th century. After abortive rebellions in two Canada in 1873 , the reunification of two colonies in 1841. By middle od the 19th century the British colonies in North America-Canada,Nova Scotia,New Brunswick,Prince Edward Island and New Foundland -wer ready to ove haltingly toward a new stage in their constitutional development. Each colony separately faced an increasing burden of public expenditure in the age of canal and railway building.Each,too,was faced with limited markets, since the coming of free trade in Britain had ended their preferential treatment within Empire. In the Canadas there was the additional problem of growing political deadlock anf threatening cultural conflict in a union based upon equality of representation of each of the two sections. And finally in the 1890’s,there was the threat of increasingly Hostile United States emerging from its bloody civil war. These event commitments in North America,resulted in a decision in 1865 to moved toward a federation of all British North America. (2) The Canada Independence in relation to the powe and prestige of its enormous naighbour,the United States. The complete informations please read and look THE CANADA POSTAL HISTORY COLLECTIONS , will put in the blog starting tomorrow. Yesterday anonim collector asked were the Ancient cin protected by law ? in Indonesian langguage. But also circulated the Brass cast coin or Gobok from China during Han,Tang,sung,Ming and qing Dynasty also from Japan and Vietnam. Hallo collectors if you want the . answer about collections asking via comment. more bigger space to write. May be you seeking Mr Hengky the stamp trader in Jakarta. I have meet him first at jakarta in 1974, he born at Ternate Molucca,he first collections from the Catholic father, first he work at east java and after that work as the NGO markerter until retired, during taht time until now he swept all kind of stamps from old jakarta collectors as investation and after retired he sold the stamps at home and The phillatelic Museum at ex Central Postoffice Pasarbaru. The begginning he sold the rare stamps 80% catalogue price, and the common stamps choose Rp.1.000 about 15 cent per pieces, but now he up the price US$1.- per pieces. 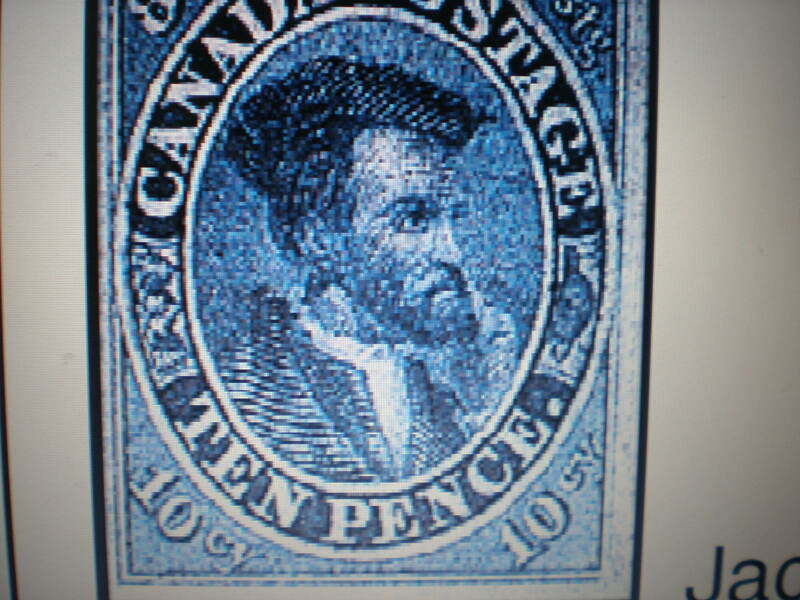 The rare stamps now 70 % catalogue if not bought for long time 50% catatlogue price, I am asking 30% catalogue he still didn,t sold ,altough other trader sold 10-30% catalogue prized. Hallo Mr Hengky and his Son Paulus thankyou for sold some rare stamps with me with special discount 50-70% catalogue prized, I still bught that stamps because I need to put the illustration in my blog for all the collectors all over the world free of charge, I hope next time you will sold lower about 30% catalogue price like Abroad Auctions . If you both click UCN or UCM , please comment . the Indochina 10 cent silver coin were common , and never issued during Dai nippon prtectorated 1942-1944 and Dai Nippon Occupation 1945. Please Indochina coin expert will kind to send more info via comment. The Canada Postal History Collections still in processing, and will installed tomorow the informatins and after that the illustrations. UCM still didn’t fund the sponsored that is why the information and illustrations install very slow. Hallo Collectors, Tank You for click UCN uniquecollection.wordpress.com CyberNews this day. The author written very detailed about the Chiang Northward expedition against the China Warlord forces and suthward expedition against the Mao Communist people forces. The best information read at The China Resistant war collections. The author written about the Dai Nippon army strategic” attack and reinforcement” from Manchuria to Shnaghai until the beginning of Dai Nippon war in 1937. 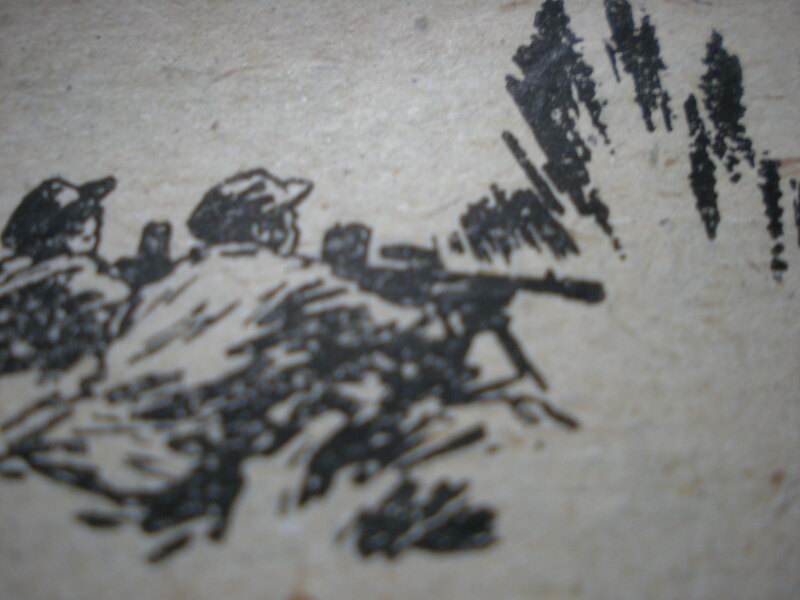 The best informations from this vintage book read at The China Resistance War Collections. 2.The informations about Geologist Explorations in China between 1914-1937. When the author arrived at Peking on May 16th 1914 to take up his appointment as geological adviser to the Chinese Gvernment, he turned a page in his life’s book . A much later page, written fr the most part by other hands than him, was turned when he visited Nanking on December 11th and 12th 1936. In the year 1911-12 a proud and ancient imperial edifice,time down and wheater-beaten, had fallen to the ground and the new men who were to build a fresh one were still somewhat dazed and bewildered,wondering how to begin. At the head of the department of Mines, to which I (the author) considered myself to belong, was an amiable little mining engineer, trained in France; a well-meaning and conscientiuous man , but scarcely a pioneer in difficult learned man of the times. Above him was the Menister of agriculture, a learned man of old school, famous of his beautiful handwritting and for the model community he had made of his native village, but too was hardly one to use a motor plough. But after some months had passed there came a man whoose whole type was symptomatic of a new age. This was a yound geologist who had studied first at Cambridge and afterwards with Professor Gregory in Galsgow. He was just back from a tour of exploration in Yunnan and was nominally chief f China’s projected geological survey.but a chief without staff , as he put it rather sarcastically at our first meeting.he was DR V.K.Ting. Meanwhile, we Swedish colleagues had achieved a certain success at the very beginning, namely the discovery of the Lung-Yen ores. I(the author) recieved orders from the then President, Yuan Shih-kai, who was aman of a great gifts but hopelessly restricted by the old fashioned ideaa of Imperial times,to go to the Palace and submit a report on what was known of the iron ores of China. After a two hours’demonstration of all our material Yuan summed up the situation in a masterly way, and a few weaks later, in January 1916, he (Yuan Shih-kai ) issued an order for the appointment of a considerable staff for Geological Survey which till then had only existed on paper. On the completion of the school cource the authorities showed their confidence by inviting me(the author) to examine these youn man (DR Ting) during a week’s field work on one og the great coald-fields of North China and to recommend the best of them for appointment as geologist. When my train(author0 arrived in the arly morning at the nanking station i recognized nothing except that the clenliness and easy poltiness f the railway staff, the representative of the travel bureu and the prters, which I had found in Shanghai were the same here. The dirty colies who formerly swarmed abut platforms and stations were gone. and when an hur later I sat in a car spinning alng the great avanue which runs through the city it struck me that I was looking at a new twn which had suddenly rise out f the grund. n the right hand i the caught sight of a well-proportined brick building within an open yard planted with trees could nt be musch more that a year old. It occured to me that this ought not t be an rdinary government building but was more probably a modern,peacefully situated scientific institution. 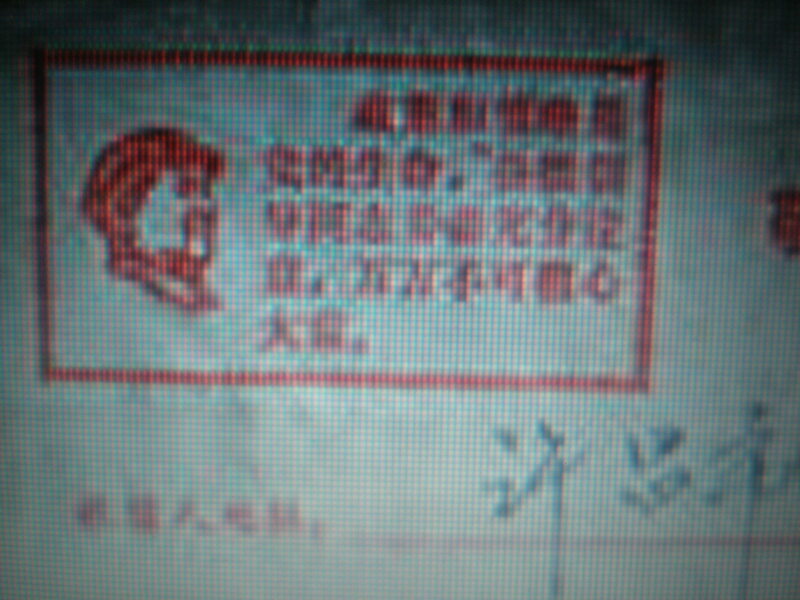 Hardly had I thougyt this out when my eye caught the Chinese inscription and I found ,I had reached my goal, The Geological survey of China, in this new home in Nanking. Here I found the haind-painted originalmof the map of China published by Ting and Wong in celebration of the diamond Jubilee of the leading newspaper Shun Pao. This map had been universally admired for the wealth of its cartography of the vast empire, but also for its fine modern production, with graduated colours indicating the altitude. But let us go back to the museum. We entered first the mineralogical-petrographic section, arranged in two alternate types of show-case, one for inerals and the other for rocks. The suitability of such an arrangement may be open to discussion,but it has a handsome and ingenious appearance. Then we went up to the top floor where the archeological material is exhibited,with the great, amazingly rich finds from Chou Kuo tien, and here we saw first of all te splendid sepulchral urns fromKansu, which we we had i stockholm for examination and which had now been moved with the reat from Peking. but then we came to finds from Chuo Kou tien, the home of Peking Man. When in 1922 DR Ting was placed at the head of a new coal-mining enterprise in Southern Manchuria. Regarded purely as a geographical feauture, Nanking possests a neighbour of the first importance, and that is the Yangtze river. Just outside Hsi Kuan, The Maritime Customs, the mighty river rolls its grey andmuddy stream between low banks. the southerncapital would occupy quite common place situation on the flat plain of the delta, didnot the purple Mountain len a peculiar charm to the surrounding. If the collectors want to know the complete Geological history of china 1914-1939 written by the sewedish geologyst J.Gunnar anderson in 1939 please asked editor via comment, this the only geologist repor about china ever seen because forbidden to open geologist informations, the secret informations of all counyries in the world ,my son geologist have told me, during DEI in Indonesia Indonesian citizen didn’t allowed to study Geologist at Institute Technology Bandung ,where my son studies there in 1994-1998. Thi story dedicated for my son Alberst S. Uniquecollections photographer , he stayed at Pertamina geologist exploration Sumatra at Prabumulih, also hello to his boss Mr Bambang which I had meet him at bajubang Pertamina camp jambi and now he was the chief of pertamina Sumatra at Prabumulih, thank you for teaching my son Pak Bambang. (2) Author : J.Gunnar Anderson, Chinese senior geologist consultant during Chinese Restistant war 1914-1927 and 1936-1938. (3) First Publishing in England 1939 translate from the wedish by Arthur G.Chater from the first publishing in Stockholm “Under Brinnande Krig,1938. 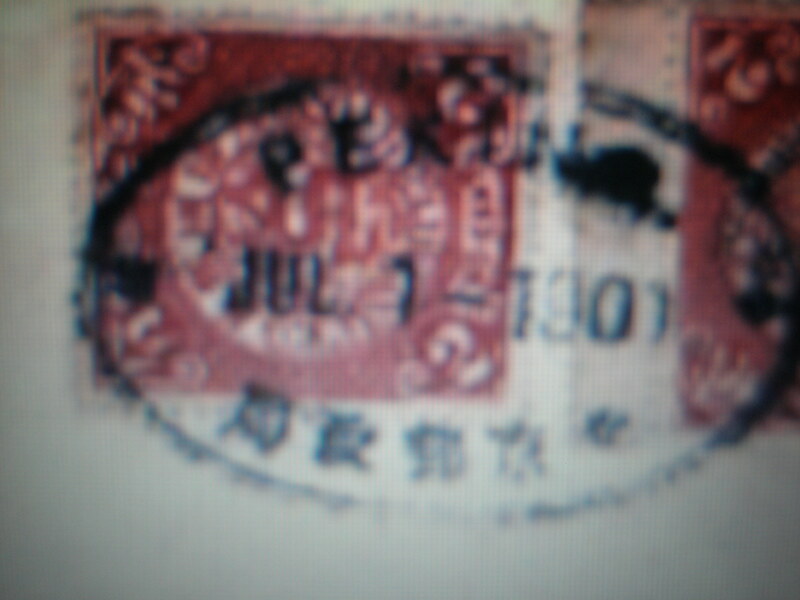 The qing stamp consist the imperial qing issued, the local port issue, and the Foreign Post Office in China. All the post office have their own stamps and post mark. Please look at The Qing Imperial collections , Palace in Beijing,the rare stamps collection and the Qing Dynasty Postmark arranged with the history of Qing dynasty chronlgically. The rare collections of Fatmawati sukarno , the Indonesia first Lady during Independence war, please lok at the Indonesia Indepnedence war 1945 , February 1946 and RIS 1950. UCM asked the pardon from collectors because very long processing the China War collections because too many information must choose and arranged by the founder alone as the expert of phillatelic postal history collections. Hallo Collectors, thank you very much to click UCN-uniquecollection Cyber News this day. 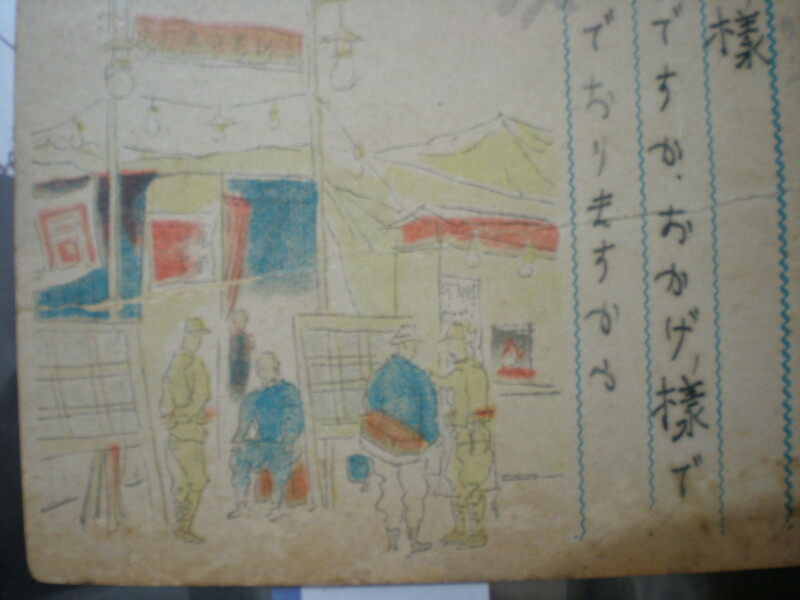 After installed the story of Dai Nippon Military Administration In Java and indonesian Independence war until February 1946, many collectors asking me to showed the illustrations of the collections. Until this day UCM uniquecollections CyberMuseum still haven’t found the sponsorship to showed the chronologic histric document, revenue and postal history of The Dai Nippon Military administration and Indonesian Independence war in Java 1942-1948 . Many Dutch collectors want to buy all of that collections and also they asked permission to installed or scanning the collectins t put in their catalogues but UCM didn’t give permission because they didn’t fair during I have gave them some informations before , they were all traders and only what profit and didn’t want to give attentions for the owners with special gift or to be the sponsor of ucM showed, they look at the informations linked without UCM written permission, they haven’t care about the copyright, and didn.t fell to against the human rights. If the situations still progress , I think no want to report their research and keep the collections in their own hand and no one will know the important historic informations, they alway didn’t care the cost and times had spent, the ucm founders hope all the collectors or traders to think about this and say hello via comment . Starting from March.1st 2010 until August,17th 2015 UCM will showed only one infrmations from the date that day with illustration related, the collectrs must be patient to wait this intall ne by one until UCM get the sponsorship to built the special site of UCM-uniquecllection CyberMusuem and all the collection s will show with more professional illustrations and design of the site because my computer and wordpress site cann’t save the very bigger informations more than ten Gigabytes, free only three gigabytes and my computer harddisk only 1 Gigabytes beside that the cost of internet communicatins in Indonesia and consultan still high. For the funder the problem was the time to install the illustratin alone. Please all the collectors to help me to found the sponsor and all the problem will off and all the collectors will looked the very best informations and illustrations and didn’t need to look at the linked blog and buy the expensive book or catalogue. With the best informations all the collectors will c\found the advataged to arranged their own best collections and prevent to buy the garbage or fake collections from the mad traders who always made the collector loose their fund and always stop collecting and the death of collectings hobby will done like the other Bonds investations. 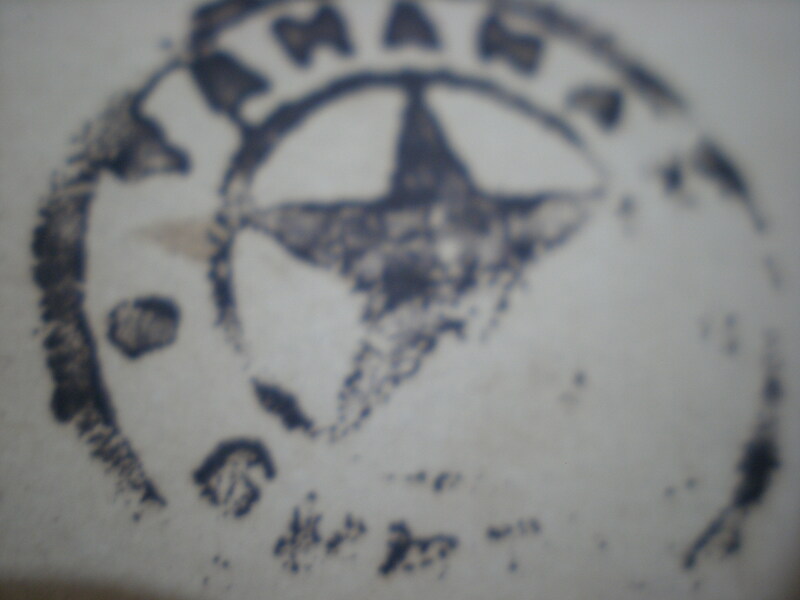 1.The earliest Dai Nippon military administration “Tamanan Guntyo” officia stamped on postally used cover send CDS Bondowoso 1942, this covers related with the anonim diary of Dai Nippon Military administrations in east Java at Djerangsapi and Bondowoso, Tamanan also near the residency Kedoe , Bondowoso is the capital and Djoerang sapi a small village(UCM have the vintage map of this area,will put in blog latter) where the Dai Nippon keep their everyday needs belonging like rice,oil, linen etc and they pointed the Indonesian man as the chief with duty to control the distributions because during he war everything were off from the market .This man written write the informations related with his job from 1942-1944, and in the end of 1944 he became the mamber of Indonesia Dai Nippon ‘s house of representative name Tjuo Shiang Gi. Please UCM need sponsor to publish this diary and combined with other UCM rare and best collec-tions ,please contact editor via comment. 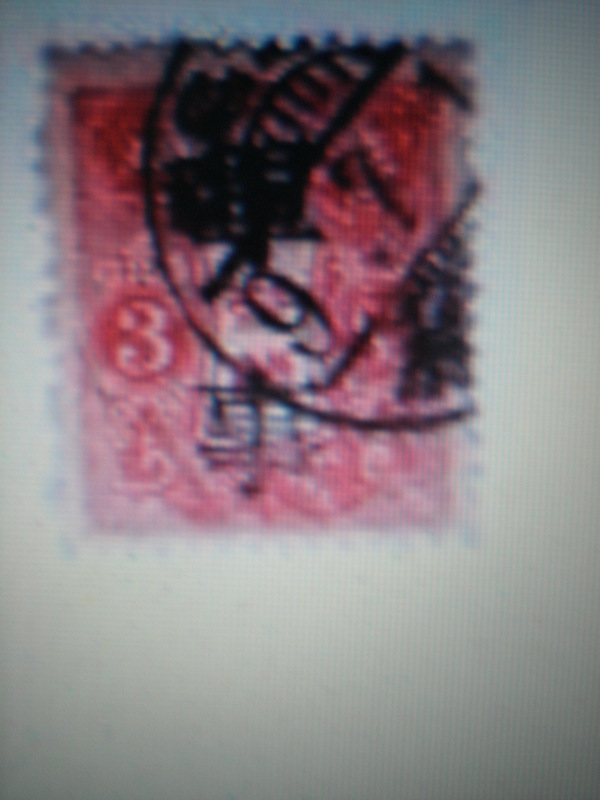 2.The postally used through Dai nippon Military Post office ,with only Head office choped and sencored, this card very rare because send in Indonesia from Magelang to Jatinegara , only used by the Dai Nippon Military officers and civils officer (this card send by him about the Test to be The Dai Nippon traslater). 3.Dai nippon Military Pictures postcard postally used send from Jatinegara to Magelang in August 18th 1945, one day after Indonesian proclamations. 4. 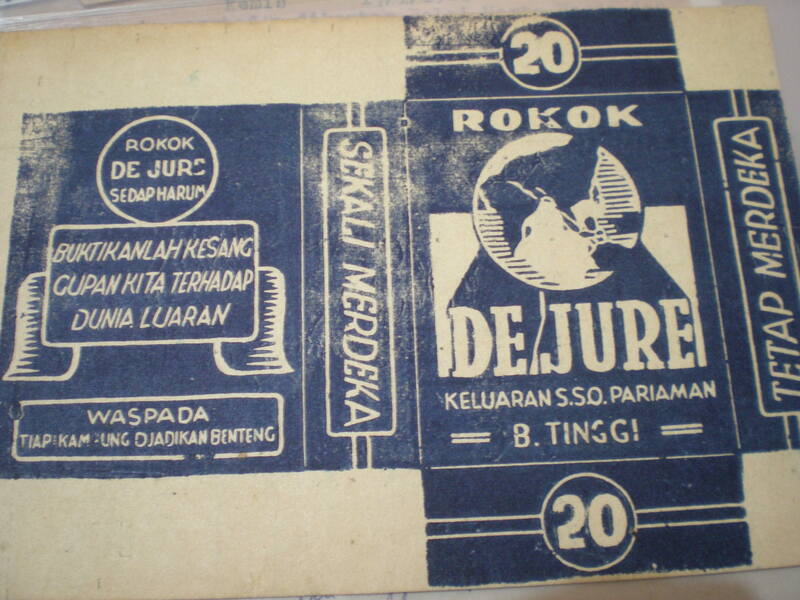 The Indonesia war cigaret label. Once Independence always Independence De Jure. 5. 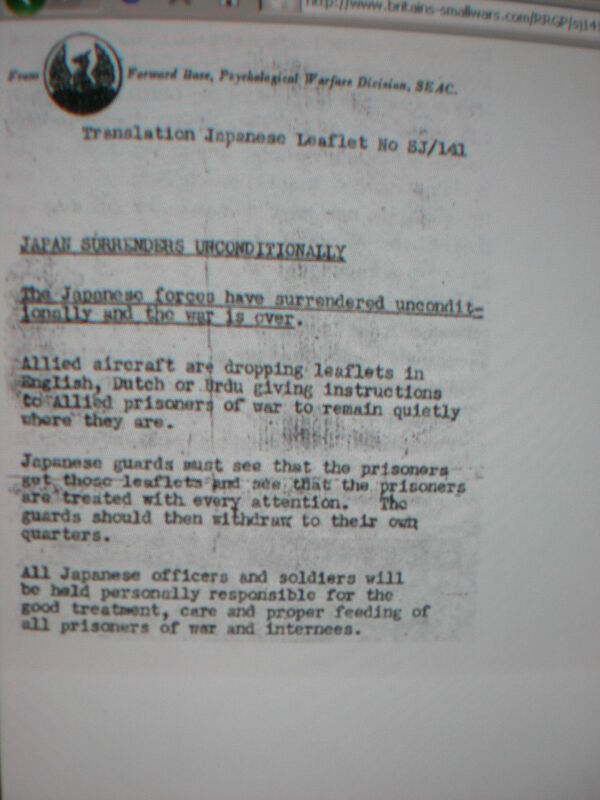 The allied Forces leaflet about Dai Nippon surrender and Allied prisoner of War. The local sumatra stamps have showed at Dai Nippon Singapore administration because sumatra between March 1942 until March 1943 under Syonanto(Singapore) that is why UCM put at The Singapore Unique Collection (DN singapore postal History). The local sumatra stamps will showed at Indonesia Independence war will seen after Indonesia independence war from March 1946 until July 1947. some revenueu until December 19th 1948, the paper Money until 1949(PDRI in Jambi). The rarest stamp of Nippon stamps is the Coronations stamps 1 yen a, the price now about US $ 200 only 20 % catalogue and also Flihgt overprint on nippon definitive stamps two type stamps the price about US$ 100.-in mint condition 30% from Catalogue price. If the collectors want to see the illustrations please look in the Japan Catalogue or contact editors via comment. UCM have this map,but to bigger Megabytes t installed,but if still want to see contact editor which area do you prefer Hanoi, Saigon or hue ? UCM announced The China Resistent War wil finished installed the chrologic informations and the illustrations will installed tomrrow. Hallo collectors ,thankyou for click UCN uniquecollection Cyber News this day. During Chinese New Year Jakarta Metro TV with the Tionghoa (Indonesia Chinese ethnic) Unity trader organization have celebrated the Chinese New year with theme The Unity Indonesia Tionghoa new year. One of the showed were Metro TV showed The Biography of the Chinese Leaders, Empress Dowager Cixi, The founding father Dr Sun Yat-sen , Comerade Mao Tse-tung, and Generalisimmo Chiang Khai-sek. After all Indonesian collectors seen that show, I suggest more better to look at the UCM uniquecollection CyberMuseum showed related with that Biography . The History fact of the Chinese leaders were arranged chronologic with the uniquecollections that never showed before in Indonesia , because during president Suharto’s era 1965-1998 were forbidden to collect , keep and show all kind of the Chinese communist documents . All the document and postal histories collections found in Indonesia some were bring during the chenese overseas imigration to Indonesia like paspport and visa,DEI ID card.all of The used stamps with clear postmark were from the letter from China homeland to Indnesia, only a little postally used covers, but some still in fragment but without adress because the chinese overseas have cutting the cover due to the president Suharto law that forbidden to keep that communist collections and only the important books with Chinese lenguage still exist, This collection very difficult to foound this day, many Chinese expatriat who work in Indonesia have swept all the chinese stamps and pstal history because difficult to find homeland in China and still low priced in Indnesia, very pity the rare postal history were off now. 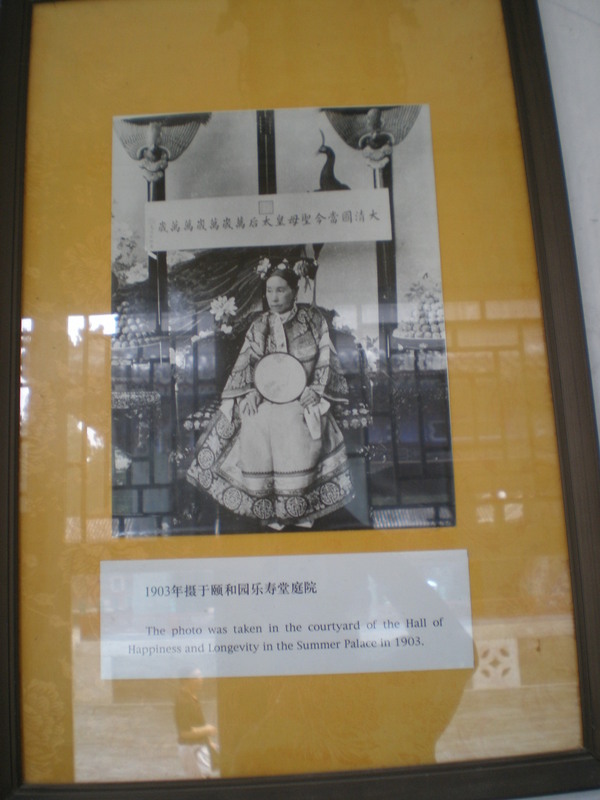 The original photo of empress Cixi in the courtyard of the Hall of Happiness and longevity at Summer Palace in 1903. 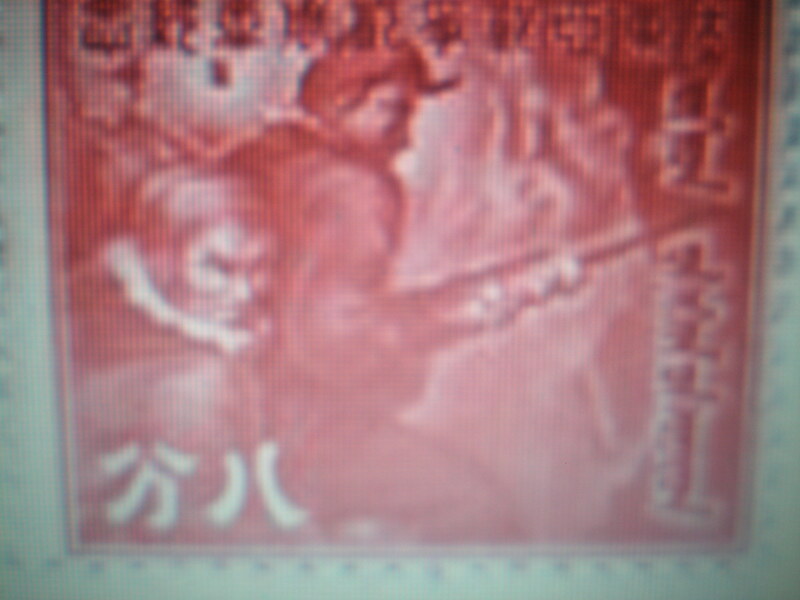 During the China resistent war and Liberation war ROC always issued Dr Sun Yat-sen definitive stamps with various design with the KMT coat of armed. and later with various overprint until ROC independay day October 1949. Wanli imperial wuchai not many found in Indonesia, if exist the quality bad because the verglanzed not so strong under ground or in the seas, only the Familiar home collections will goos condition, but the geologica earthquake ,political and war situations in indonesia have made the wuchai ceramic were broken and the decoration were off. I will showed some of my wanli Imperial Wuchai artifact , one of the best wuchai cup iron red overglazed have showed at Artifact Wanli imperial ceramic. 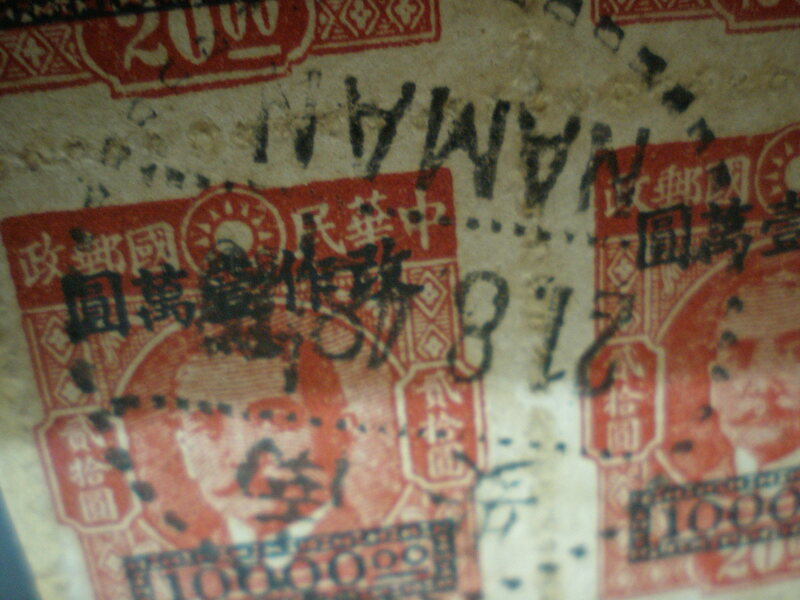 The Ming Red overglazed of Swatow were many found in Indonesia but the value still low. 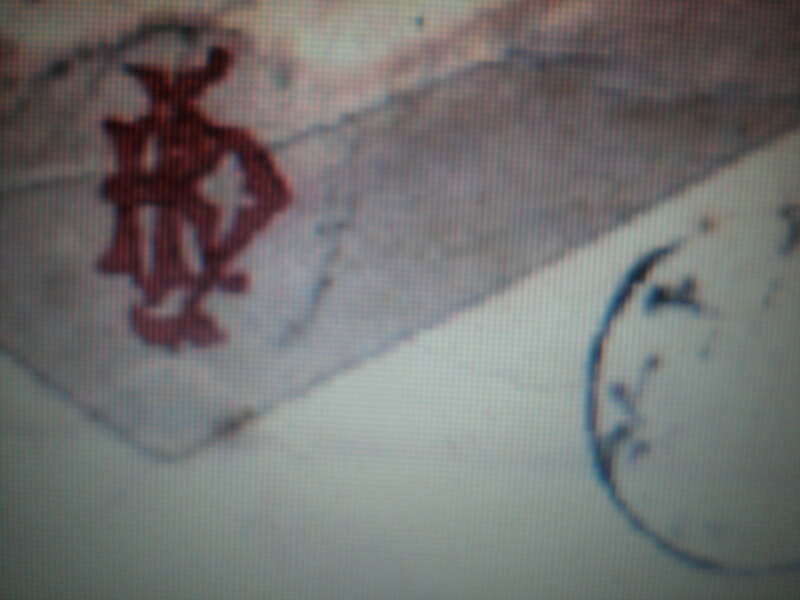 I have put the illustration of the rare Netherland stamps at “The Rare Stamp’ information and illustrations. The Rare Netherland stamps wasn’t five gulden but the Ten Dollar Queen Wilhemina the first edition and the second edition, but the third edition after the WWII were the common stamps. 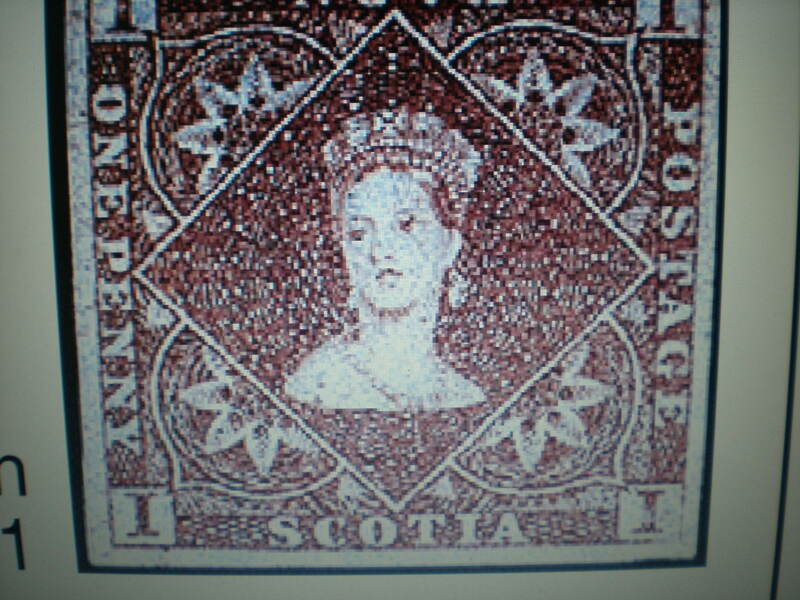 One Five Gulden rare stamps was the queen seated and the Brankass Stamp. 1. The install of all information of The Chinese Resistant war will complete 100% this day and the illustration will installed tomorrow. (1) The Burma Postal and Revenue history. 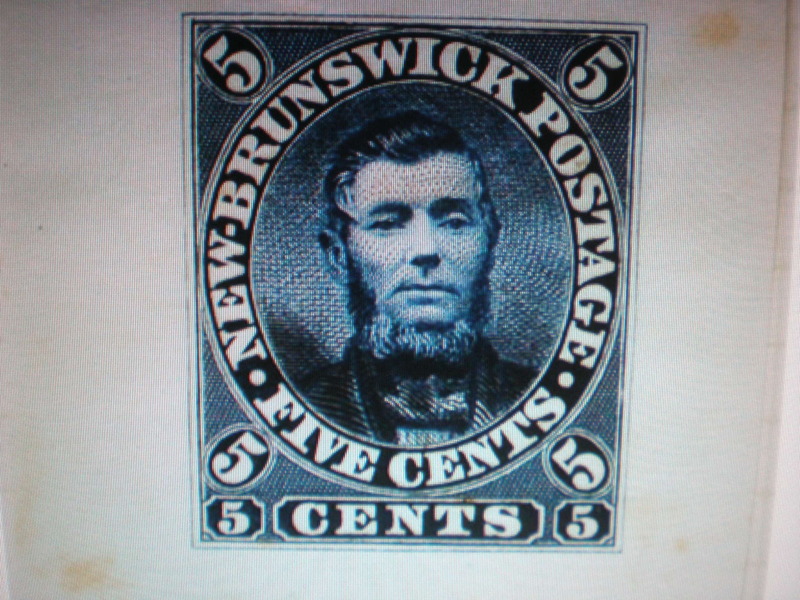 (2) The Canada Postal History.